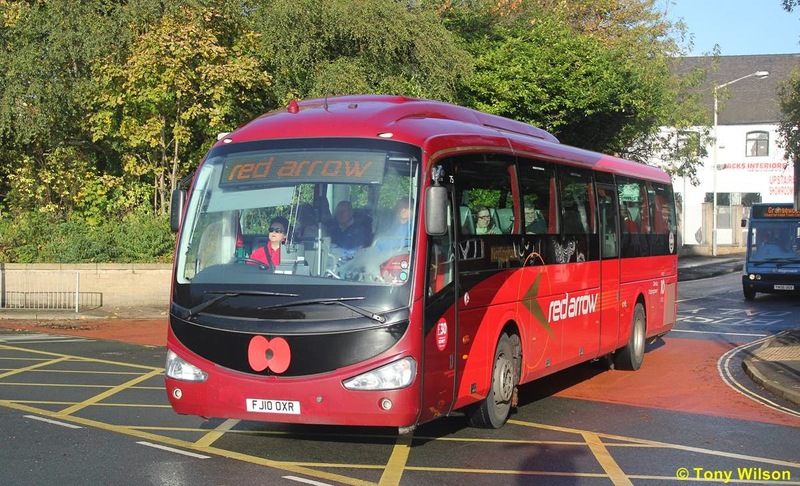 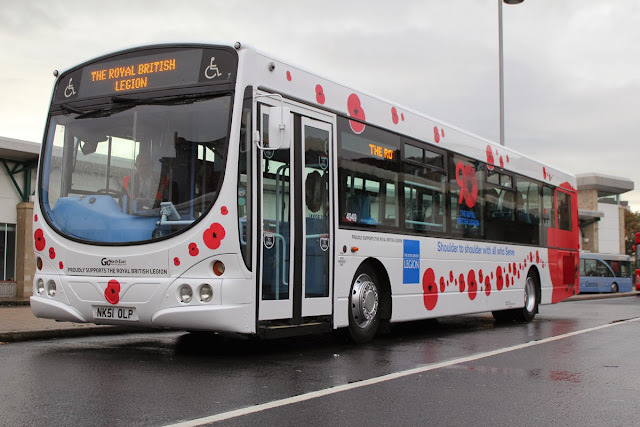 During this week of Remembrance and as we approach the respective services and associated events over the weekend and on Monday the 11th of November, a number of bus and coach operators up and down the country are marking this period with various forms of the Poppy symbol on their vehicles, for the Royal British Legion Appeal. 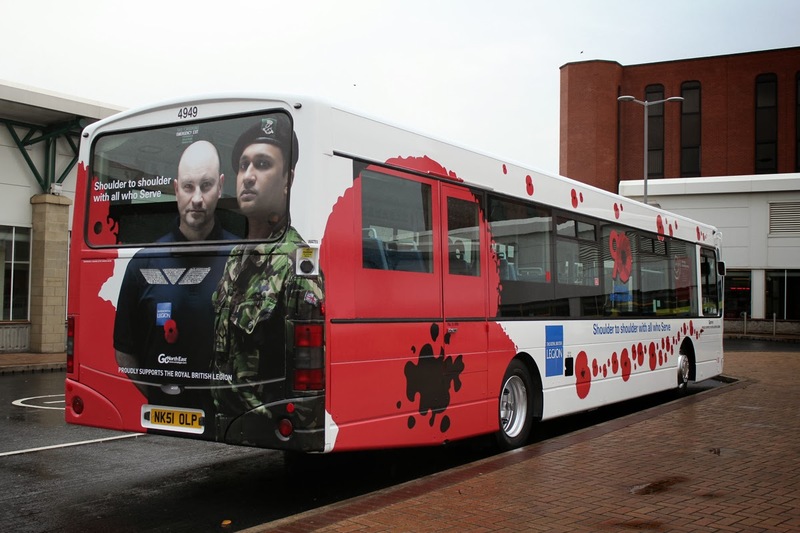 Appearances of the poppy appear from the modest single symbol to a plethora of them over three sides of buses. 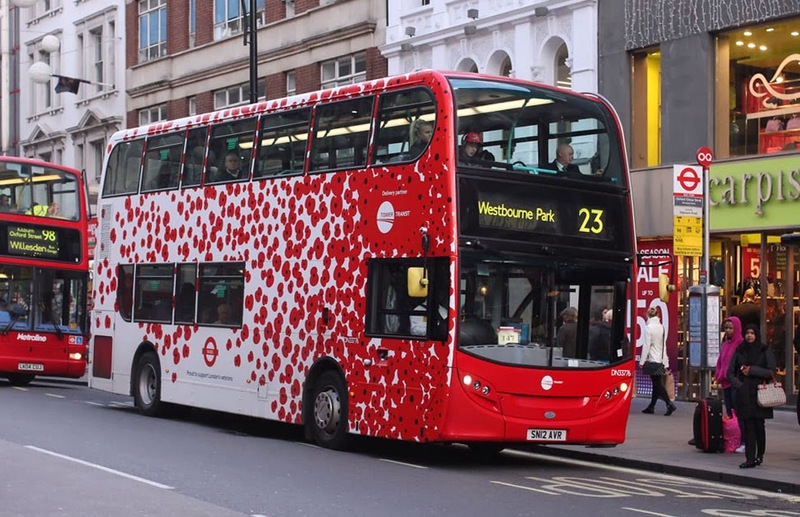 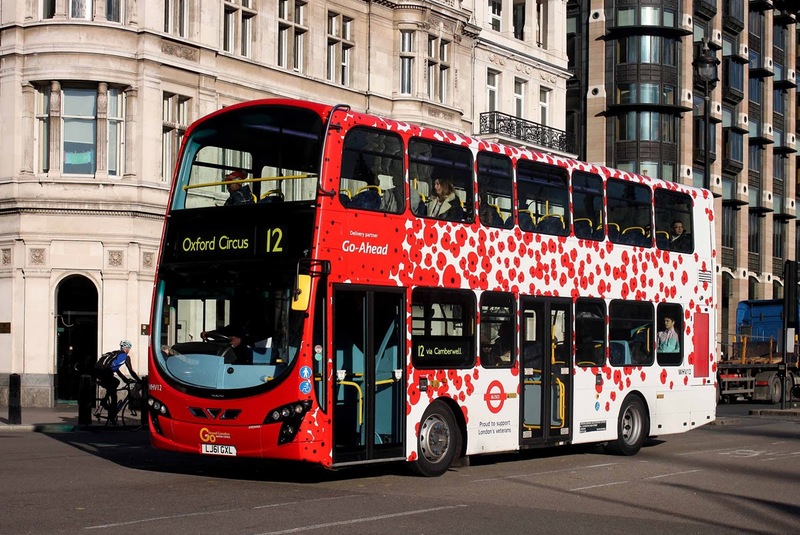 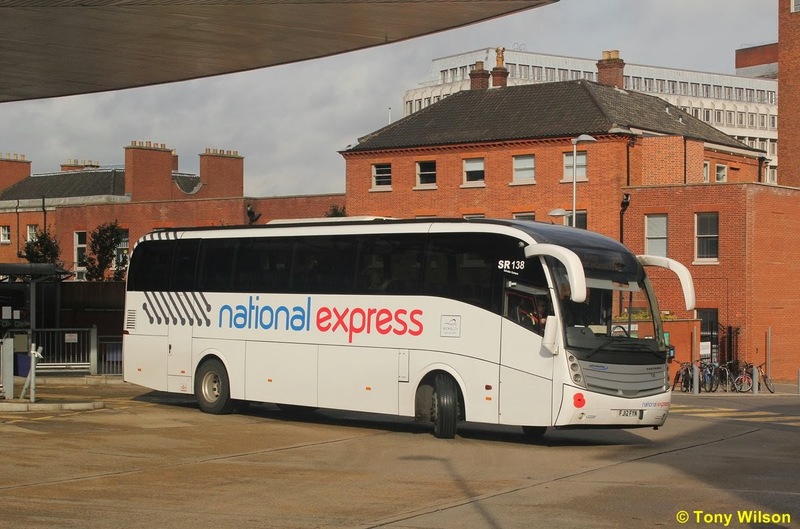 In London ten buses operated on Transport for London routes have been vinyled up on three sides of their bodywork, and will generally operate on the network through Central London. 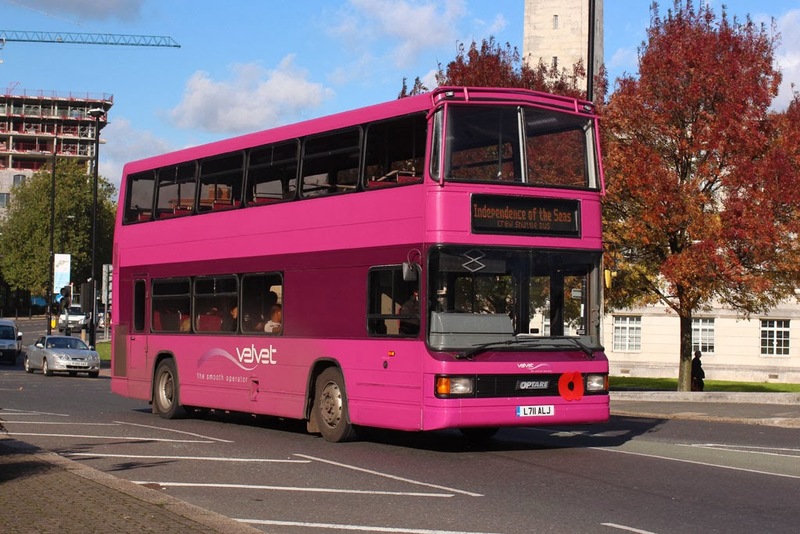 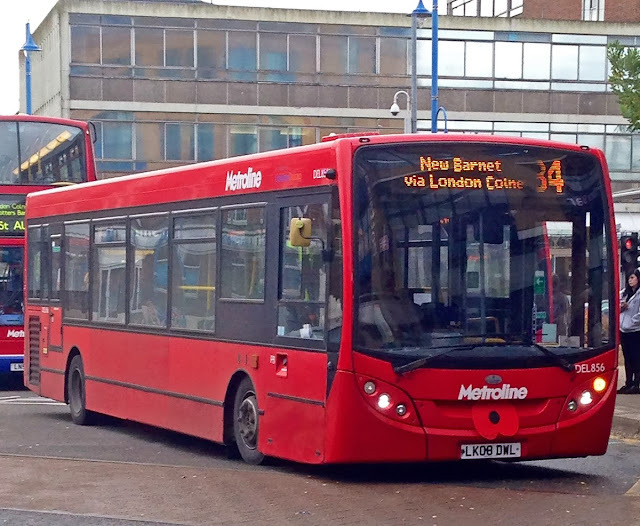 The buses are seven ADL Enviro400 type from Abellio (9548), Metroline (TE 904 and 906), Stagecoach (10182 and 10196) and Tower Transit (DN 33780 and 33776), whilst the balance is made up of three Wrightbus Gemini Eclipse, two from Arriva London (DW 240 and 296), and one from London Central (WHV 12). 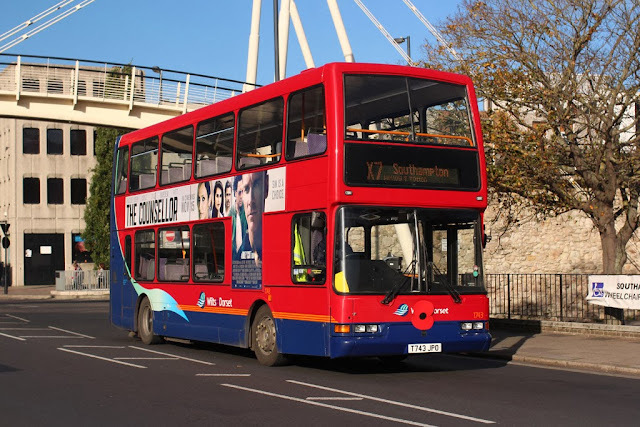 A footnote. 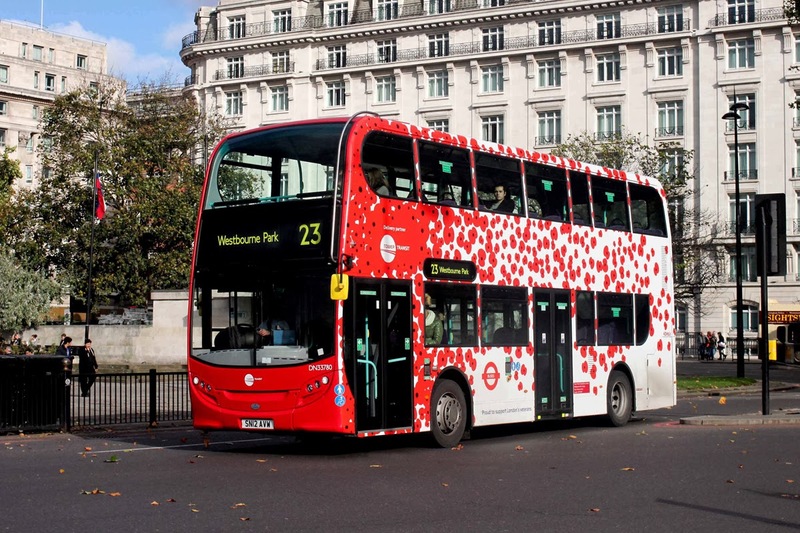 On Monday 11th November, two Routemasters RM 1005 and RML 903 will respectively operate several journeys over routes 211 (Waterloo-Hammersmith) and 24 (Parliament Hill Fields-Pimlico). 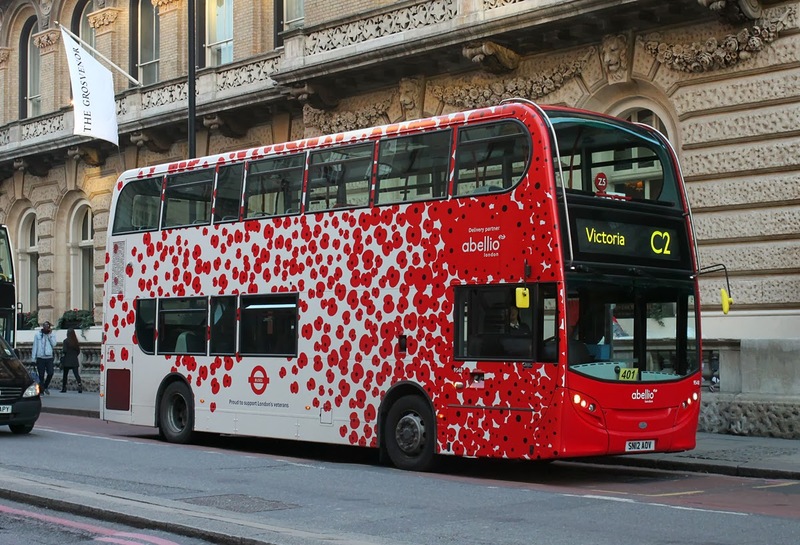 They have been timed so as to pass by or be near to the Cenotaph at 11.00am where they will pause for the 2-minutes silence. And one more footnote. 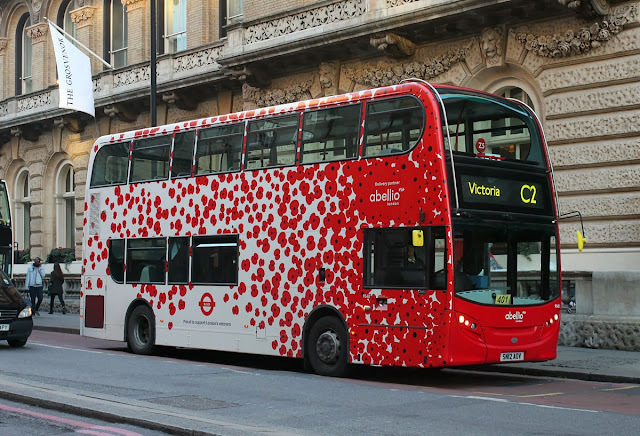 On the 7th November the Duke and Duchess of Cambridge rode upon RM 1005 to High Street Kensington Station, where they surprised passers-by and passengers as they assisted with the Poppy Appeal.